We constantly hear about the negative health effects of drinking sodas. Too much sugar, too much gas, excessive caffeine and there is even talk about some sodas being as corrosive as drain cleaners. But the fact is that hundreds of millions, if not billions, of people drink soda on a daily basis across the globe. There is some truth in the claims made against sodas by health organizations but the bigger problem is for people with certain medical conditions. Drinking soda can worsen the symptoms, hamper treatment and even lead to complications. 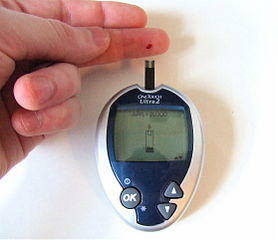 Diabetics should be careful about sodas with sugar as their body cannot regulate the blood sugar levels properly. Regular sodas are laden with sugar and this can cause a rapid rise in blood glucose levels within a short period of time. Depending on the quantity consumed and the way the diabetes is managed, excessive soda drinking can lead to serious complications. It is not always obvious or instantaneous. But even moderate consumption of soda over a prolonged time has detrimental effects in diabetics. The repeated short term rise in the blood glucose levels damages different tissues throughout the body leading to the long term complications of diabetes like kidney, eye and nerve problems. There are number of different ingredients in sodas that can be a problem for a person with a heart problem. It largely depends on the type of heart disease and the quantity of soda consumed over a specific time period. Any cardiac patient with an arrhythmia, coronary artery disease, angina pectoris, heart failure or cardiomyopathy among other heart problems should be cautious. It is mainly the sodas with large amounts of caffeine that are a problem. Caffeine is a stimulant that can increase the heart rate thereby straining the already diseased heart. Furthermore the diuretic effect of caffeine means that the blood volume can be altered with water loss in the urine that can also impact on the heart function. We all think of saturated fats when we think of high blood cholesterol but 80% of the cholesterol is produced by the body. And cholesterol is not the only lipid that can be dangerous. Triglycerides is another type of lipid that has serious health consequences if the levels are elevated for long periods of time in the body. Sodas are laden with sugar, which are carbohydrates. The body stores excess carbohydrates and can convert it into other forms like fats. It is not just the fat you see in obesity but also the unseen fats that are circulating in your bloodstream, being deposited within the walls of blood vessels and gradually restricting the oxygen flow to parts of the body. If you are suffering with hyperlipidemia, then avoiding sugary drinks like sodas is just as important as staying away from the fatty foods. Heartburn is a common symptom that we all experience at some time or the other. It is a result of the stomach acid flowing backwards into the food pipe. Some sodas are known to be acidic with a pH around 3. But it is not the soda acid that is entirely the problem when it comes to gastroesophageal reflux disease (GERD). Caffeine increases gastric acid secretion and carbon dioxide in sodas also increase the pressure within the abdomen. 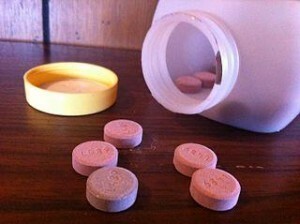 The combination of effects means more stomach acid can now be pushed upwards against the lower esophageal sphincter. It is also interesting to note that the smooth muscle within the sphincter is sensitive to carbon dioxide. Therefore chronic GERD sufferers may find their symptoms worsen and need to limit the intake of sodas. The stomach wall may be thick and resilient enough to withstand the effects of the gastric acid but there are times when it flounders. Inflammation of the stomach wall is known as gastritis and when open sores form it is referred to as stomach ulcers. Often the inflammation and ulcers extend to the first part of the small intestine (duodenum) collectively referred to as peptic ulcer disease (PUD). The long term use of NSAIDs (non-steroidal anti-inflammatory drugs) and H.pylori bacteria are some of the contributing factors. As with reflux, the caffeine in sodas increases gastric acid secretion. Increased pressure within the stomach from the carbon dioxide and its effect on sphincter muscles can increase dumping of the acidic stomach contents into the duodenum before counter-measures take effect. It can ultimately worsen existing gastritis and peptic ulcer disease. One would not often think of sodas as being an allergenic food. But it is a possibility that the preservatives, colorants or other additives could be a problem. Allergies are your immune system’s abnormal response to an otherwise harmless substance. It can be ingested (food and drinks) or inhaled. Ingested allergens are more of a problem for children but can also be an issue for some adults. If you know that you are allergic to a specific substance, the key to managing your allergies is to stay away from the substance (allergen). There are different types of allergic reactions and the symptoms could be as mild as a runny nose or as severe as constriction of the airways. Stay away from sodas which contain ingredients that you know you are allergic to, or if you have experienced an allergic reaction shortly after consuming it. It often seems like a good idea to switch to a liquid diet when you have diarrhea. 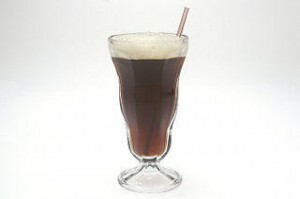 Sodas are often one of the preferred beverages due to its taste, it is mainly water and the high sugar content which provides temporary nutrition. You may also hear that the ingredients within soda can provide some of the electrolytes lost in diarrheal stool. However, sodas could make your diarrhea worse. The concentration of dissolved substances (solutes) within sodas may actually draw out water from the body into the bowels. This adds to the water content in the bowels and exacerbates the already watery stool. For this reason it is better to use a commercial ORS (oral rehydrating solution) which has just the right concentration of electrolytes and water to prevent this effect. The high calorie content of sodas makes it one of the problem modern day beverages in the obesity epidemic. The problem is further compounded by the larger sized sodas that are packaged as part of popular takeaway meals. Many believe that the answer may lie in diet sodas with artificial sweeteners that are have little to no calorie content despite the sweet tastes. However, studies have revealed that sweeteners may not be as harmless as we are led to believe when it comes to obesity. 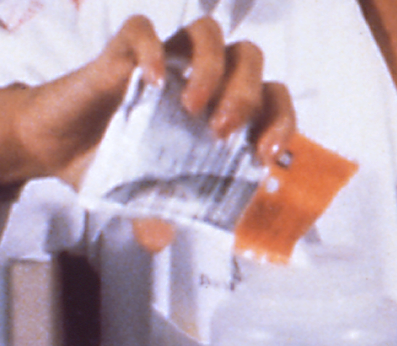 When administered to rats, it resulted in an increase in appetite. The same effect could possibly occur in humans meaning that while you are avoiding the calories in the diet soda, you will tend to pile on the calories from other foods and drinks with the increased appetite. 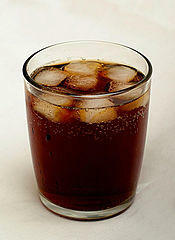 The bottom line is that soda, be it regular or diet, should be avoided if you are trying to lose weight.